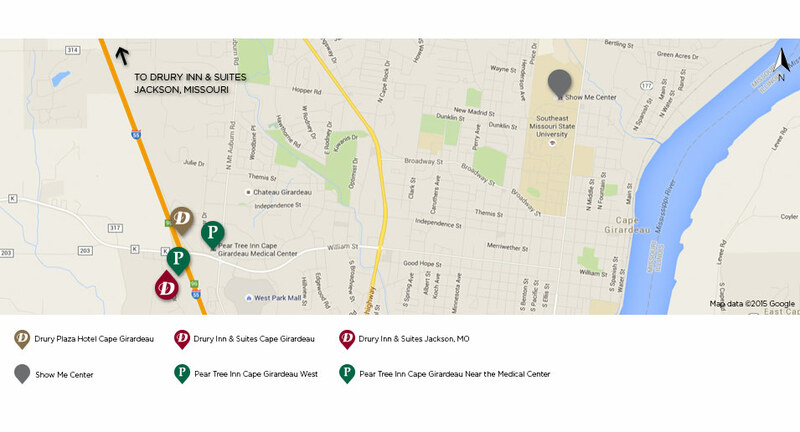 The Drury Hotels of Cape Girardeau are proud to be a hotel partner of the Show Me Center. Patrons of the Show Me Center can enjoy 10% off room rates at Drury Hotels! For reservations, please call 1-800-DRURYINN and ask for the Show Me Center Rate or book online with promotion code 301079. *All amenities may not be offered at Pear Tree Inns. Hot Food & Cold Beverages are not available at the Pear Tree Inns. Rates are per room, per night and subject to availability. Some blackout dates may apply. Not valid with groups or with any other discount.